Dismissed Case Raises Questions On Shaken Baby Diagnosis Kristian Aspelin had one thing in his favor: enough money to pay for medical experts. 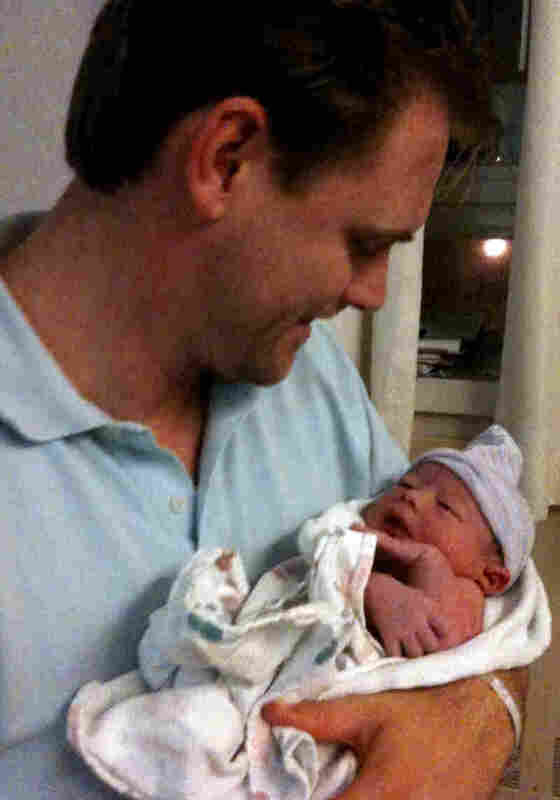 The experts were able to convince prosecutors that his infant son's death was an accident. Kristian Aspelin cradles his newborn son, Johan. When San Francisco prosecutors dismissed charges against Kristian Aspelin in early December, it became just the latest case to raise questions about how shaken baby syndrome is diagnosed. Aspelin, who was accused of causing the death of his infant son, had one thing in his favor: He had enough money to pay for medical experts who cast doubt on the prosecution's theory. Aspelin's nightmare began on a November afternoon two years ago. He had just brought his two sons home from day care. His 2-year-old son opened the refrigerator and dropped strawberries and pizza on the floor. Aspelin says he went to clean it up while holding his 3-month-old son, Johan. "So I ran into the kitchen to address what was going on, and I brought Johan along with me in my right hand and eventually after cleaning up, slipped and fell," says Aspelin, who spoke publicly for the first time in an interview with NPR. "And I will never forgive myself for bringing Johan into the kitchen, but it was an accident." Johan had fallen onto the tile floor. Aspelin called 911 and an ambulance took the infant to the hospital. Five days after the fall, Johan died. The San Francisco medical examiner did an autopsy and found injuries consistent with shaken baby syndrome. Aspelin was charged with felony assault of his son. Earlier this month, prosecutors quietly dropped the charges after Aspelin's attorney presented reports from six medical experts and a biomechanical engineer. Those defense experts explained how the child's death was consistent with the fall Aspelin described and argued there was a lack of evidence to suggest the child was deliberately injured. Aspelin's defense even hired a video company that made a model of the family's kitchen — the family had since moved — and filmed Aspelin, holding a doll, slipping on the floor. "Before we did the reenactment," Aspelin says, "I didn't know if I would be able to, how I would react to go into that environment and try to relive those moments that have, you know, basically haunted me for, for a long time." One issue was whether a child could die from a fall of just about three feet. The video showed how the child's head could have hit the hard tile. Among the experts Aspelin hired were those who have testified on both sides of child abuse cases. Some explained how scientific knowledge about child deaths is changing, and how they have come to understand there are many alternative possibilities to what's often thought to be deliberate and violent shaking. Patrick Barnes, a pediatric neuroradiologist and one of the experts hired by Aspelin's defense, explained how doctors now recognize "a variety of accidental and natural causes" that are sometimes overlooked in cases that are first diagnosed as shaken baby syndrome. 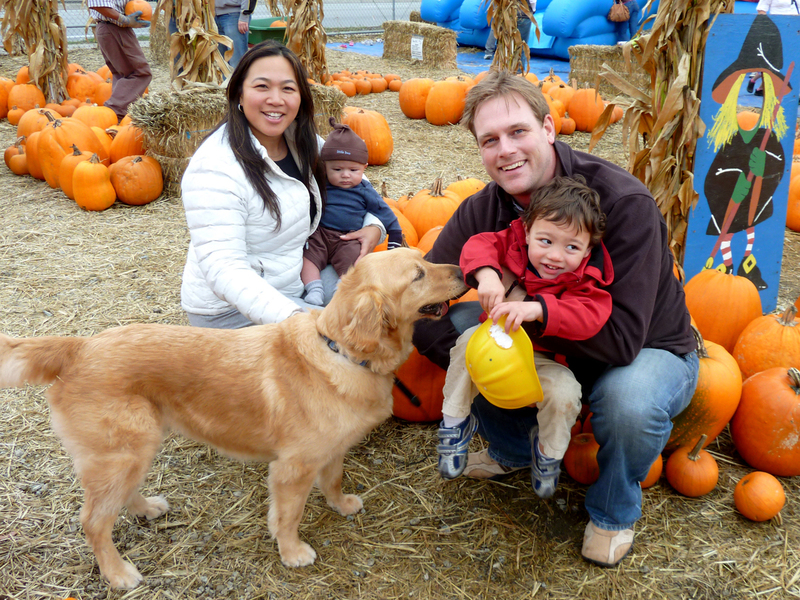 Jennie and Kristian Aspelin pose in a pumpkin patch with their children two weeks before three-month-old Johan died. Barnes had testified for the prosecution in one of the most famous shaken baby syndrome cases — at the 1997 trial of English au pair Louise Woodward in Massachusetts. Since then he has come to believe that the syndrome is overdiagnosed and misdiagnosed. Aspelin's attorney, Stuart Hanlon, agrees. "Innocent people get convicted, especially in these kind of cases," he says. "And we have to have a better way to protect people from false allegations of shaken baby." To pay for his defense, Aspelin went through his savings, sold his house and borrowed from family and friends to raise more than $1 million. It cost about $100,000 just for the expert medical witnesses — a price that makes them unavailable to many defendants. Last year, NPR News Investigations — with PBS' Frontline and ProPublica — found 23 cases of child deaths where charges were later reversed or dropped. Since then, a Texas man who was the focus of one story was released from prison. And in California, a woman who was the focus of another, had her sentence commuted. A spokeswoman for San Francisco District Attorney George Gascon confirmed that the charges against Aspelin were dropped. Prosecutors — in an unusual arrangement — worked collaboratively with Aspelin's medical experts. In the end, the district attorney concluded there was not enough evidence, as the spokeswoman put it, "to prove the case beyond a reasonable doubt." Still, Aspelin's troubles are far from over. Since the indictment, he's been required to live apart from his wife and their surviving son, who is now 4. "He really kept us strong because we had something to really fight for," Aspelin says of his older son. "And I couldn't bear even thinking of losing our other son after Johan went away." Aspelin can see his son every day — on supervised visits — but can't stay overnight in the house. It will take another legal proceeding to be reunited.